Runways are named by a number between 01 and 36, which is generally the magnetic azimuth of the runway's heading in decadegrees. 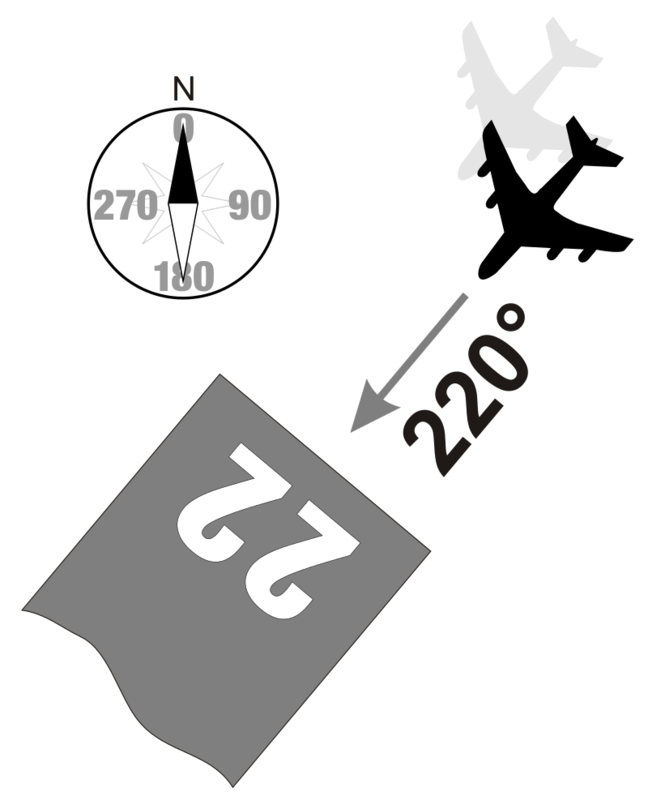 A runway numbered 09 points east (90°), runway 18 is south (180°), runway 27 points west (270°) and runway 36 points to the north (360° rather than 0°). A runway can normally be used in both directions, and is named for each direction separately: e.g., "runway 15" in one direction is "runway 33" when used in the other. For clarity in radio communications, each digit in the runway name is pronounced individually. 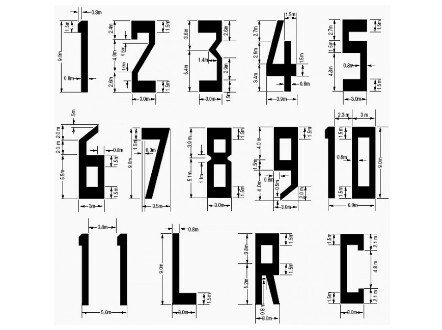 If there is more than one runway pointing in the same direction (parallel runways), each runway is identified by appending left (L), center (C) and right (R) to the number to identify its position (when facing its direction). At large airports with four or more parallel runways (for example, at Los Angeles, Detroit Metropolitan Wayne County, Hartsfield-Jackson Atlanta, Denver, Dallas-Fort Worth and Orlando) some runway identifiers are shifted by 1 to avoid the ambiguity that would result with more than three parallel runways. 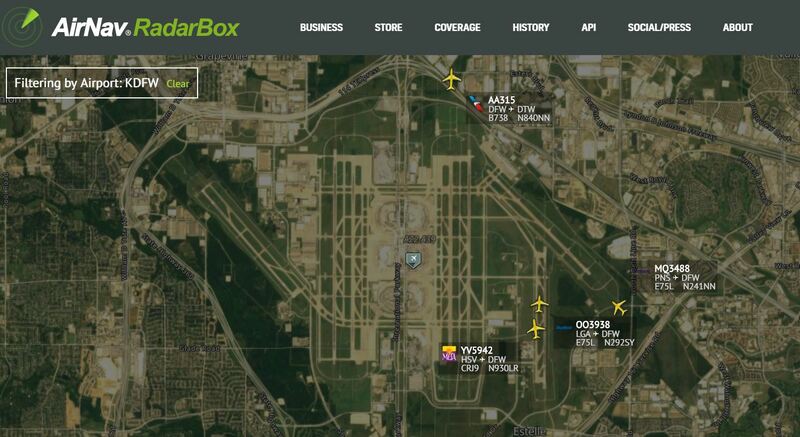 At Dallas/Fort Worth International Airport, there are five parallel runways, named 17L, 17C, 17R, 18L, and 18R, all oriented at a heading of 175.4°. Runway designations may change over time because Earth's magnetic lines slowly drift on the surface and the magnetic direction changes. Depending on the airport location and how much drift occurs, it may be necessary to change the runway designation. It was the case at Geneva Airport or London Stansted Airport which changed its runway designations from 05/23 to 04/22 during a night.